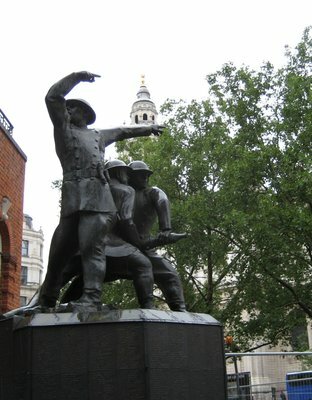 In honour of this Sunday's 68th anniversary of the first day of The Blitz, a walk through London to see some of the Memorials to those who lived and died during the air raids of World War II. On the afternoon of September 7th, 1940, 348 German bombers, escorted by 617 German fighter escorts flew over the east end of London, dropping a massive amount of bombs on the port of London. 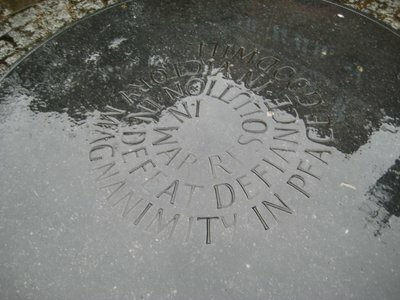 While the attacks that day were aimed at the port to deliver an economic blow, a number of bombs fell off target and 448 Londoners died that day in what became locally as “Black Saturday.” It was the first day of 57 days of sustained bombing of London and the United Kingdom, and the first phase of a bombing campaign that lasted into the Spring of 1941, eventually killing 43,000 civilians across the United Kingdom. It is known now as The Blitz. 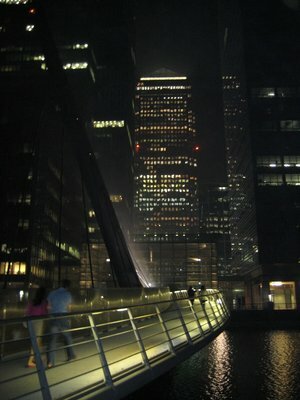 London has long been a port city, with easy access to the sea via the Thames River. As the British Empire expanded, the city became the central hub for the shipment of goods from around the Empire. 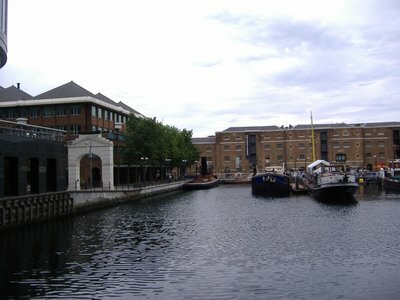 To handle this increasing trade throughout the 19th and 20th centuries, a number of docks were built to the east of the City of London proper, starting with the West India Dock in 1802. With the Nazi’s take over of France in June of 1940, the Nazi’s turned their attention to the United Kingdom. On the 18 June, Prime Minister Winston Churchill, in a speech at the House of Commons declared, "The Battle of France is over. 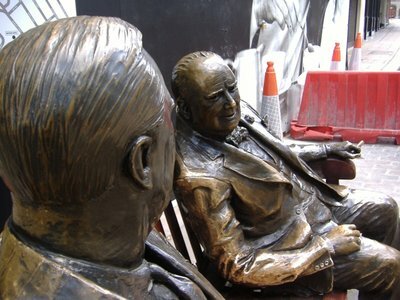 I expect the Battle of Britain is about to begin." The Battle of Britain began with a bombing campaign by the German Luftwaffe against military targets, specifically air fields, and industrial targets in Birmingham and Liverpool. On August the 24th, some German bombers strayed off target and dropped bombs across the north end of London. In retaliation, the British Royal Air Force carried out attacks on Berlin which killed 10 people. Hitler was apparently very upset at the attack on Berlin, and on September 5th ordered the attacks on London and other major British cities. As Hitler had ordered attacks that would disrupt the life of London and the United Kingdom, it is no surprise that the docks were one of the major targets of the German bombers. By 1939, London was one of the busiest port in the United Kingdom, handling 60 million tons of goods which accounted for 38% of the entire trade of the United Kingdom. That first night, on Black Saturday, over 1000 bombs had hit the Docklands, causing an inferno that covered 250 acres of land. The fire was so strong at the Surrey Docks that glass in buildings not on fire started shattering from the heat. Firefighters were brought in from all over London and even from out of town to fight the fires. Not only were the buildings on fire, but also the contents of the many warehouses holding trade from across the British Empire. A firefighter described how some of the goods from far away corners of the British Empire made fighting the fires even more difficult. The next 56 days saw nightly bombing of London, and many Londoners found shelter in the deep stations of the underground. The area of the port was bombed repeatedly, and many areas were completely destroyed. 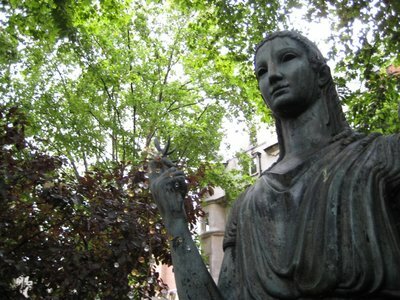 The bombing campaign continued through the winter and into the spring of 1941. May 10th, 1941 saw 500 German bombers drop over 700 tons of explosive on the capital, killing close to 1500 people. 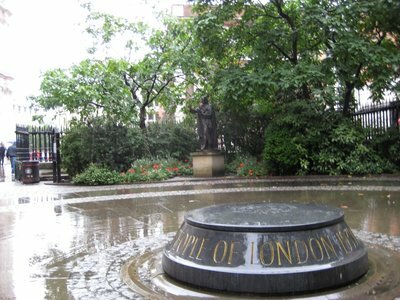 The churchyard of St. James' church off of Piccadilly was laid out after the 2nd World War as a Garden of Remembrance to commemorate the courage of Londoners during the Blitz. 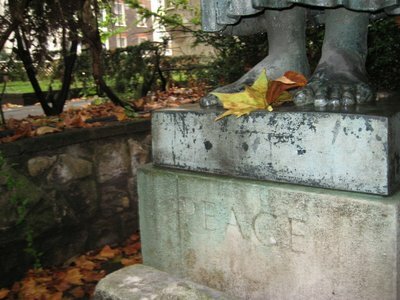 This statue holds a olive branch, and on the base says Peace. May 10th was the last night of the bombing campaign as the Germans turned their attention eastward to Russia. By the end of the blitz, over 25,000 bombs had fallen on the docklands, destroying 11,000 homes and many commercial buildings. Across London, 1.4 million people were homeless. In St. Mary-Le-Bow church, one of the stained glass windows on the north side of the church shows St Paul with his Epistles, surrounded by bombed City of London churches. 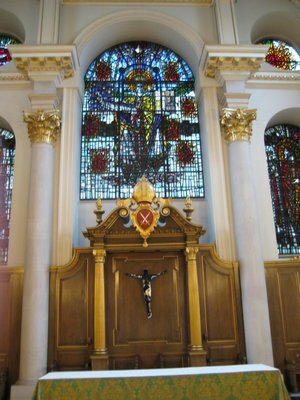 This church, while not technically in the east end of London, is said to define one of the most enduring images of east end London, the Cockney. 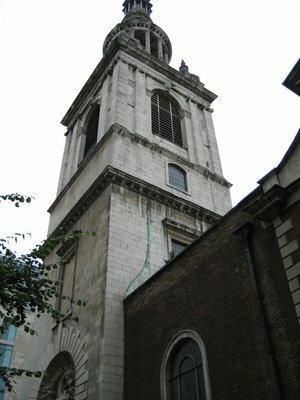 A "true" Cockney is someone born within earshot of the Bow Bells, the bells in the church's tower. 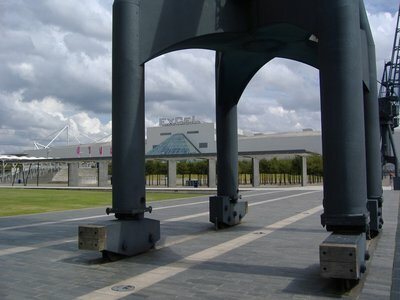 Despite the end of The Blitz, London and the docklands still suffered from bombing and rocket attacks for the rest of the war, including V1 and V2 rockets. The port continued to operate, however much of it’s traffic was diverted to other ports in the United Kingdom. 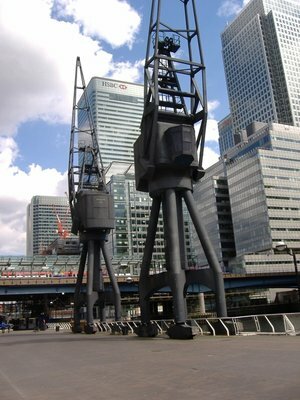 Looking at the docklands today with the large towers of Canary Wharf, the condos and ExCel centre around the Royal Victoria Dock and the part surrounding the East India Dock, you might think that the German bombing campaign was the end of the docks as a port. It wasn’t the German bombs that did in the docks. Much like the rest of London, which was rebuilt in the image of pre-war London with minor improvements in some places (like indoor plumbing), the docks were for the most part rebuilt as a working port once the war ended, and by the mid-1950s the part was fully operational again. By the mid-1960s the port was back to its pre-WWII levels, handling 60 million tons of cargo. Eventually though, it was a combination of shallow water, twisty bends and small docks that did in the docklands as a working port. By the late 1960s, more and more cargo was being handled at the larger downstream port of Tilbury, as it could take the large container ships that were becoming the norm in the industry. By 1980, all the docks within London had closed. A Japanese container ship glides through the Panama Canal. These ships, built to just fit into the canal, were much too large to fit into the docks in London, and there was no room for the large cranes needed to unload the boats. Great historic article well done.